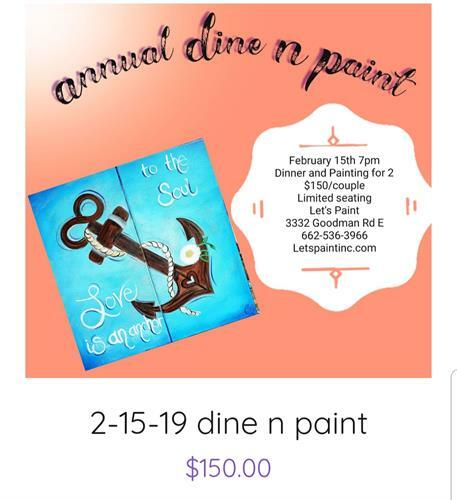 Join us for our 7th annual Dine and Paint! We will have a delicious catered meal and painting for 2. No lines no waits! A nice relaxing night for you and your favorite person! Only taking 14 couples so be sure to get your seats in advance!